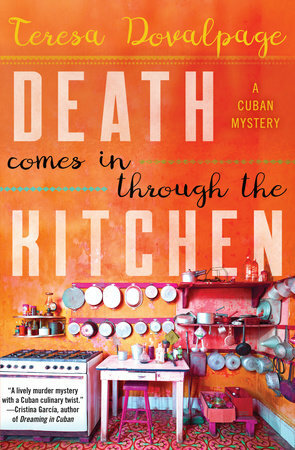 MY BOOK, THE MOVIE: Teresa Dovalpage's "Death Comes in through the Kitchen"
Teresa Dovalpage's "Death Comes in through the Kitchen"
The novel takes place, for the most part, in Havana. The director may want to shoot it somewhere in Florida. La Pequeña Habana, perhaps. Or who knows, they may get to film the whole thing in Cuba. The story starts with Matt Sullivan, a San Diego journalist, arriving in Havana. Yarmila, his Cuban girlfriend, should be waiting for him at the airport, but she is not. After finding her dead in a bathtub, Matt asks Padrino, a private detective, for help. Idris Elba would be the perfect actor to play Padrino, a Santeria practitioner who, after retiring from the Cuban police, has become a private eye to make ends meet. I would love to see Adrienne Bailon as Yarmila. She can play a complicated character and has tons of sandunga. 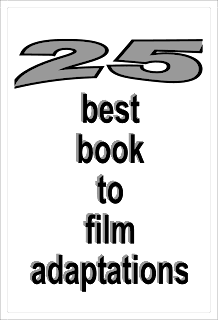 I am not sure how Yarmila will appear in the movie since the character dies on page 20. But she is key to the story and the reader gets to know her through her food blog and Matt’s memories. Flashbacks? Another cool character is Marlene Martinez, the National Revolutionary Police lieutenant who is assigned to the case and works closely with Padrino. In my mind, she looks, acts and moves like Rosario Dawson. I imagined Marlene as a tall, striking Cuban with the dangerous curves that I always wanted for myself, but never got. The Page 69 Test: Death Comes in through the Kitchen. Man Martin's "The Lemon Jell-O Syndrome"
Nell Hampton's "Lord of the Pies"
Spencer Kope's "Whispers of the Dead"
Cherie Burns's "Searching for Beauty"
Susan Henderson's "The Flicker of Old Dreams"
Cherie Burns's "Diving for Starfish"
J. Todd Scott's "High White Sun"
Jamey Bradbury's "The Wild Inside"